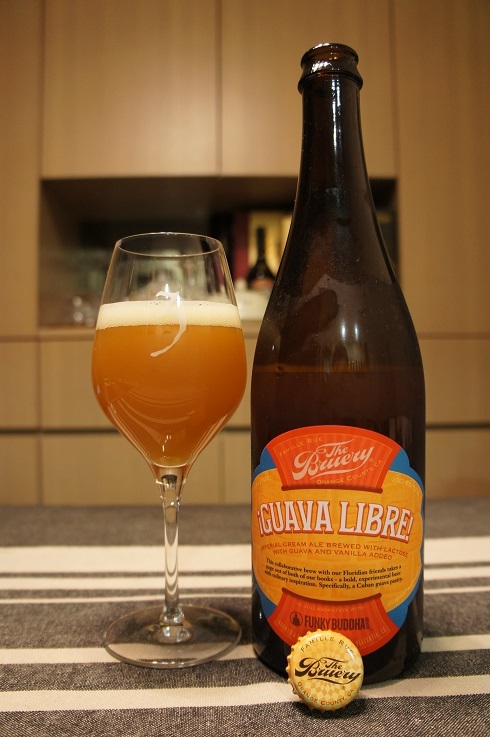 The Bruery x Funky Buddha ¡Guava Libre! 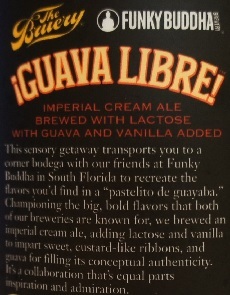 Brewer Description: (from bottle) Imperial Cream Ale brewed with lactose with guava and vanilla added. This sensory getaway transports you to a corner bodega with our friends at Funky Buddha in South Florida to recreate the flavors you’d find in a “pastelito de guayaba.” Championing the big, bold flavors that both of our breweries are known for, we brewed an imperial cream ale, adding lactose and vanilla to impart sweet, custard-like ribbons, and guava for filling its conceptual authenticity. It’s a collaboration that’s equal parts inspiration and admiration. Intro: A 750ml bottle, batch #430, bottled on 11th April 2017. Poured into a 3 Fonteinen stemmed glass. Appearance: Very cloudy, dark orange murkiness with a one finger off white head that had decent retention while leaving some nice lacing. Aroma: Heavy vanilla, condensed milk, caramelising sugar and guava with perhaps hints of caramel. 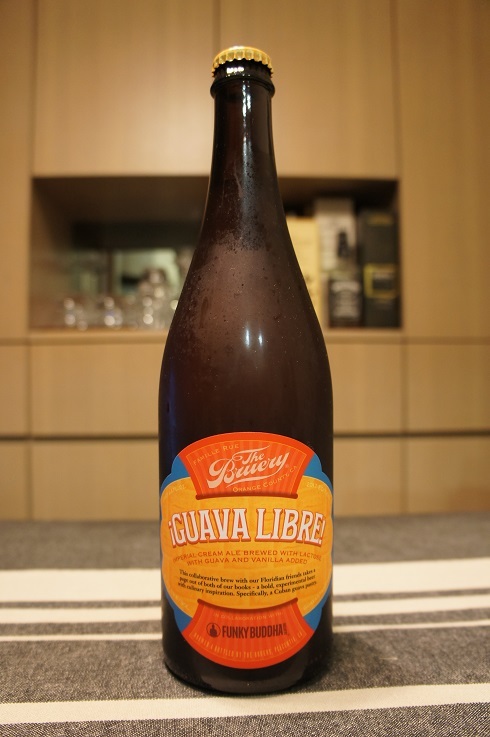 Taste: Sweetish, toasted malts, vanilla, sugar, milk with hints of guava and other mixed tropical fruits. Overall: Not entirely what I expected as there was a lot less fruit and/or guava than expected, whereas the vanilla, milk, lactose were really dominant and perhaps overly so in my opinion.